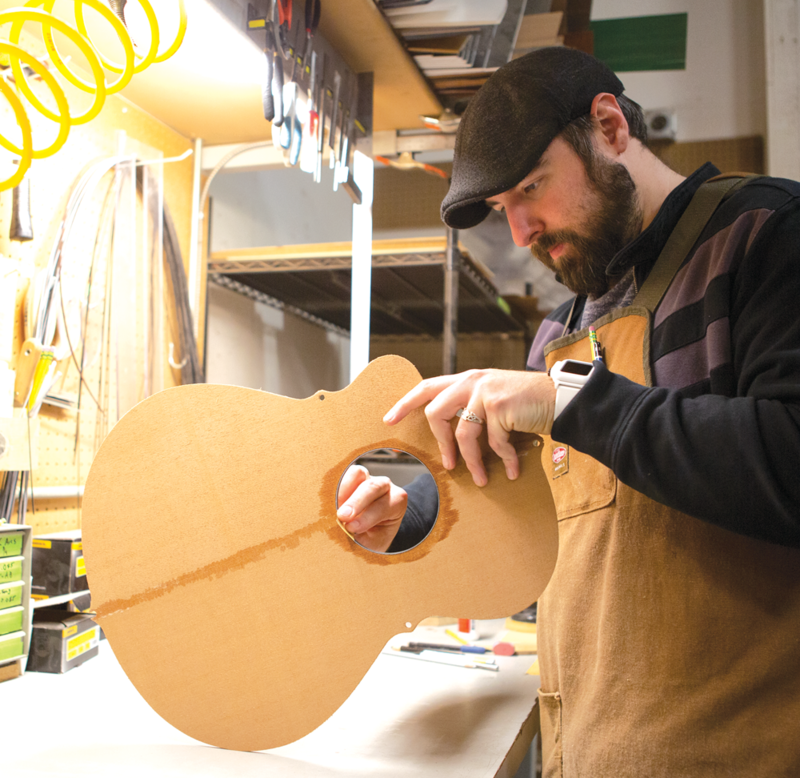 A Breedlove luthier working on the custom guitar destined for the winner of the Breedlove Custom Masterclass Extraordinary Experience contest. While she’s filled with joy at winning, fingerpicking obviously isn’t the first thing on Marianne’s mind these days. The couple is currently staying at a friend’s house in Chico, California as they work through insurance claims and tally their losses. Still, she looks forward to picking up her “dream guitar” at Breedlove facilities a few months from now.